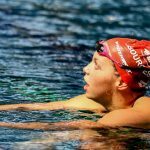 In this ultimate guide to the best exercise equipment for the water and pool, we take a look at some of the essentials to making the most of your aquatic workouts. 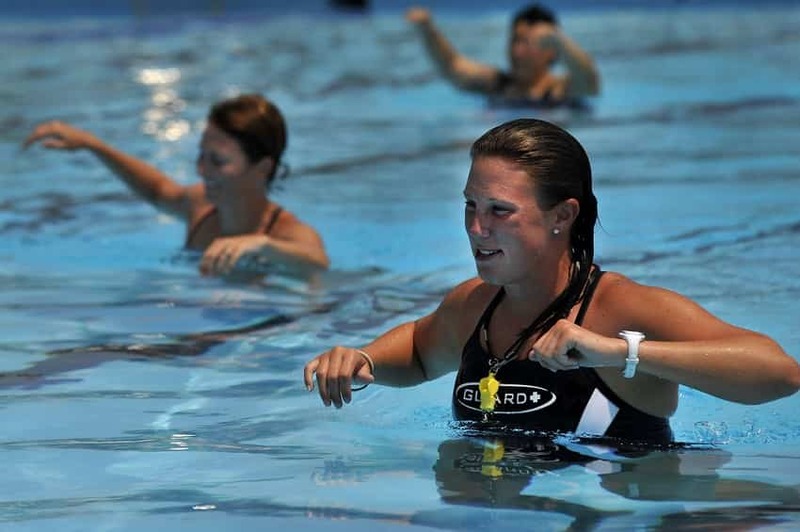 There are a heap of benefits to working out at your local pool. For starters, the low-impact nature of the water means that you can still get a solid sweat-on-your-brow workout without having to put undue strain on your joints. 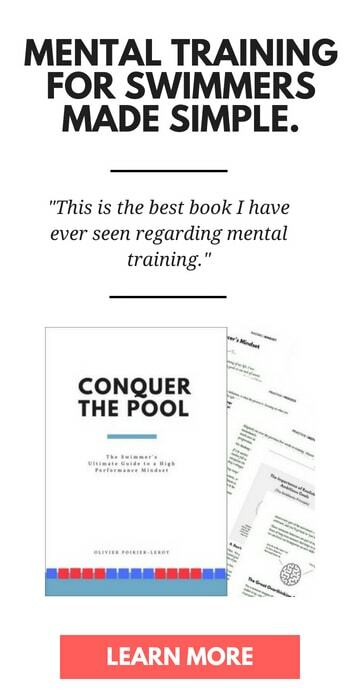 The pool temperature keeps you nice and cool, and there is all the variety you can think of, from swimming laps, to water jogging, to water aerobics. Whether you are looking to get in shape solo at the pool or you are joining a class, here are our must-have pieces of water exercise equipment. Let’s go! Unlike the typical dumbbells you would find in the gym, water dumbbells are super light, made of foam, and exceptionally buoyant. So instead of trying to pick them up, you usually find yourself having to push them down and work to keep them submerged. The twist on the conventional dumbbell is harder than it sounds: the weight of the water dumbbell hides how challenging it is to keep them submerged and also moving. Traditional jumping jacks, shoulder raises, tricep push downs, and even the classic bicep curl are just some of the water exercises that you can unleash on your body. 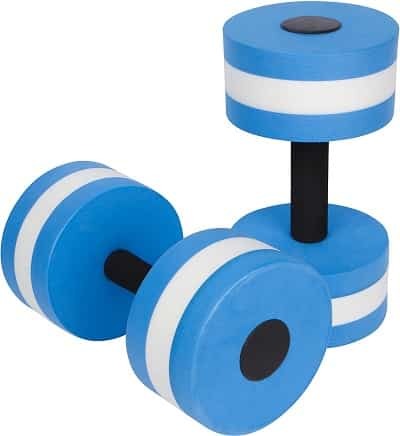 The simple two-toned aquatic dumbbells made by Trademark Innovations. Made of EVA foam, 11” long and 6” wide, these water dumbbells come in eight different color combos. Want the aerobic benefits of running without the jarring impact on your knees and hips? Water jogging is your ticket. 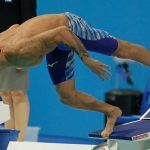 Studies (Reilly et al, 2003) have found that runners who train in the deep end of the pool can actually get a better cardiovascular workout compared to treadmill running when training at low to moderate intensities. 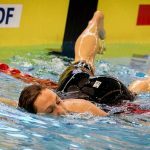 To give yourself a measure of buoyancy while you are pumping away with your legs, wrap a championship belt, err, aqua jogging belt around your waist. 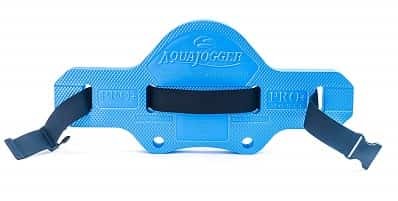 Our favorite water jogging belt is the AquaJogger Classic, and it’s big brother, the AquaJogger Plus. The latter is designed for heavier dudes (hence why I use and love it). Both belts are made of a thick, long-lasting foam that doesn’t chafe your back, or ride upwards as you are working out, whether it’s in the deep end or when doing water aerobics. Pool noodles can play just about any role you can think of in the water. It’s a toy for kids to play with (and usually slap each other silly with), it’s a great swimming aid for kids who are getting comfortable in the water, and it’s also a flotation device for adults who are doing water exercise. The exercises you can perform while using it are endless. From noodle tucks to noodle twists, grabbing your best pool noodle and hopping into the water will give you a workout that is only limited by your imagination. 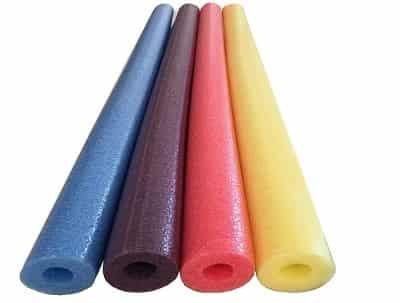 Oodles of Noodles makes a 4-pack of pool noodles that are priced low, come in a wide variety of bright colors and include a bonus connector to build noodle things. 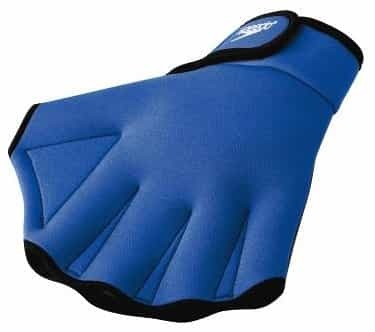 While more seasoned swimmers will recognize these as a variation of the classic swim paddle, aquatic webbed gloves are a great way to increase resistance while water jogging, doing water aerobics, or performing whatever other kind of aquatic exercise you can think up. 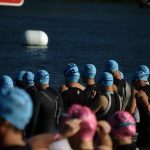 When choosing the right swim gloves for you, there are a few different things to consider, including whether you can tuck it into your wet-suit (helpful for chilly pools or working out in a river, lake or ocean), open or closed finger tips, and adjustable wrist straps for a secure fit. 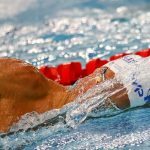 Our top pick for swim training gloves are the ones made by Speedo, which come in four different colors, four sizes, and a Velcro wrist strap that is a pinch to zap on and off. 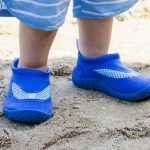 No, these aren’t fins as in swim training fins, but a device that you can wrap around your ankles or wrists that have blades on them to create some serious resistance. 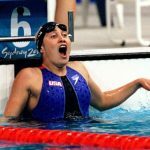 The magic behind these is that no matter which way you swing, kick or move your legs, you are going to experience resistance against the water. This makes the resistance fins great for working hard to hit muscles and stabilizer muscles that don’t get the attention they deserve. 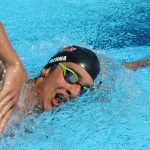 Although you might get some looks walking around the pool deck with these on, you’ll know that you are getting maximum intensity and resistance with minimal impact during your workout. 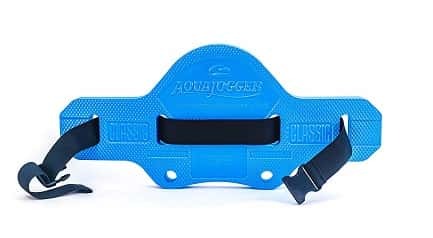 They come in two different sizes, with the maximum resistance fins having 6” blades (they are the blue ones), and a low-resistance option with 4” blades (green).